Special Prom Party Special Packages! We pride ourselves on staying up-to-date on the current cultural events and entertainment attractions. You won’t find a better, value packed Prom Party Package anywhere! Try our fast and easy Free Quotes or call 1-201 233 2120. 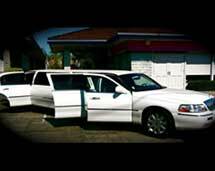 Cheap New York Limousines Offers First Class Luxury & Low Flat Rates! … You and up to nine friends in fully stocked White 10 Passenger Luxury Stretch Limousine for one wonderful Prom Party Night- full of fun and adventure. And we mean one whole night-where you can party till dawn. And You don’t Pay any Waiting Time or Travel Time Charges at all! You set the departure times!